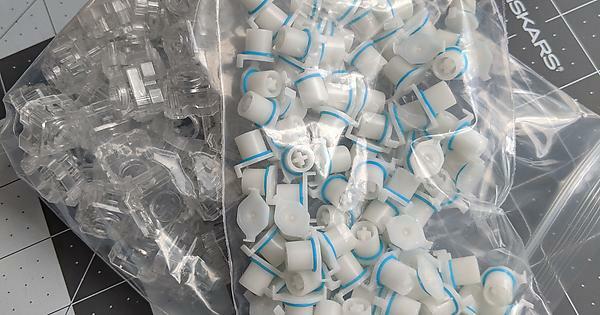 They caught my attention as a possible new source of sliders to make Topre boards MX compatible! The price was not too high so I decided to order a set to try out! I got them in this morning so I decided to throw them into a Realforce 23u and see how well the perform and compare to stock. 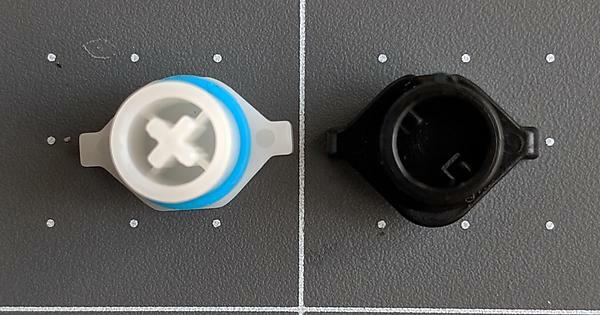 For anyone who may be interested, the Niz housings themselves are NOT 100% interchangeable with stock Topre, they clip in well, but move side to side because they are slightly smaller. The outer diameter of the Niz slider is 8.21mm, stock is 8.3mm. Slider to slider distance on the Niz and stock slider is 15.7mm. 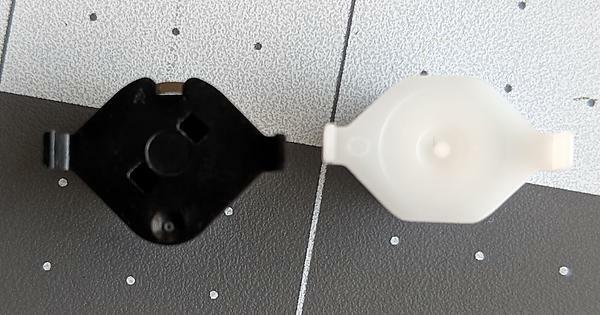 the sliders installed easily into the Realforce housings. Because they are slightly smaller in outer diameter, they have slightly more wobble. 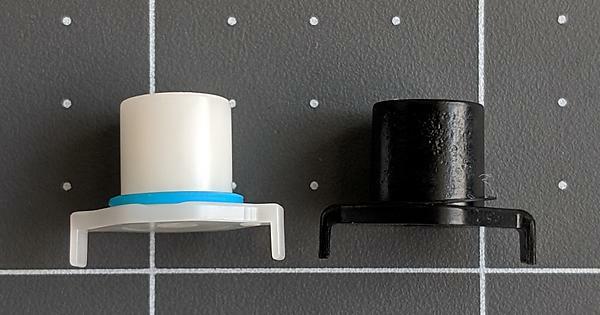 The material of the Niz sliders is significantly smoother than stock, they feel better/smoother to me. 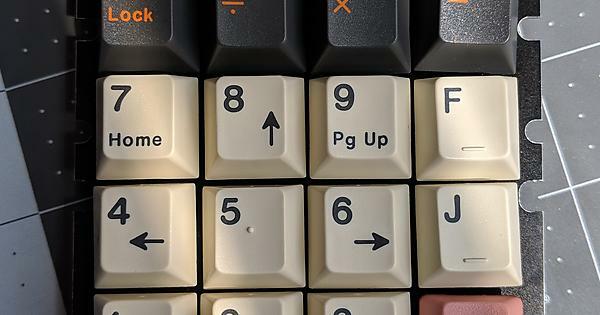 I installed GMK keycaps onto the sliders and the results were… not perfect. There are definitely alignment issues similar to the KBD MX sliders that came out last year. They don’t seem as bad to me, but it is still noticeable when photographed top down. I modified the enter slider housings by drilling it so I could mount an MX enter key, and then put everything back together and installed MDA Big Bone keycaps to see how it would all work out. When it is fully assembled, it looks okay to me! You can see some of the misalignment but isn’t too noticable. Overall they sliders feel smoother than stock to me, and actuate well. They do have slightly more wobble and some alignment issues; definitely a bit of give in take. I’m glad that we finally have a decent option aside from Novatouch sliders! Based on this, seems like we can expect some new boards from Niz? 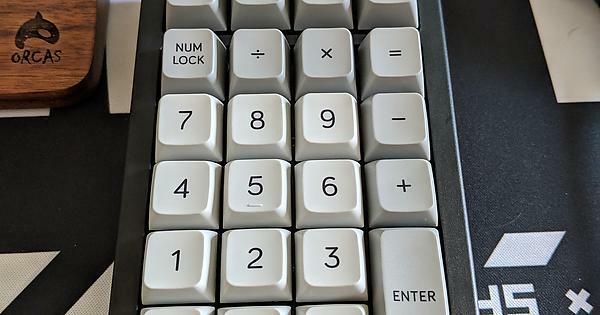 Also, do the problems listed here exist on Niz boards or just with Topre? NIZ has been pretty consistently putting out new revisions of boards, so seeing new ones on the horizon is likely. Too bad about the fit issue with Realforce. Maybe you can send them this review so they’re aware of the problem? Makes me wonder now if Realforce housings will fit in a Niz plate – it sounds like they’ll be too big. 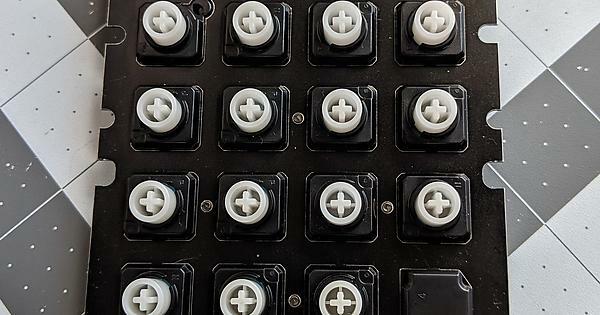 Nice thing that they sell these parts as we may be betting closer to have a custom Topre board. Only thing missing is a PCB (easier said than done :p). 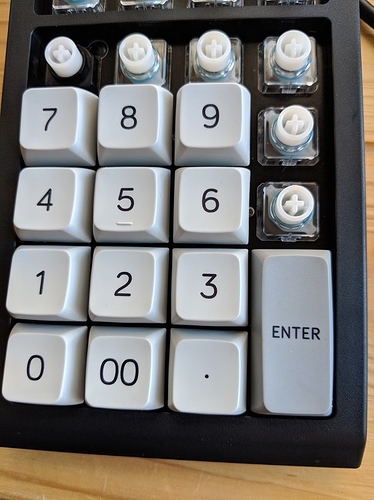 Someone on reddit did a wobble comparision on a realforce R1 vs a new Archon EX TKL with the improved sliders. It’s clearly visible for me that the wobble has been reduced as I’ve owned a Niz Plum75 and that one had pretty wobbly sliders ! Testing sliders AND housings in a 23u. More testing/conclusions coming soon! 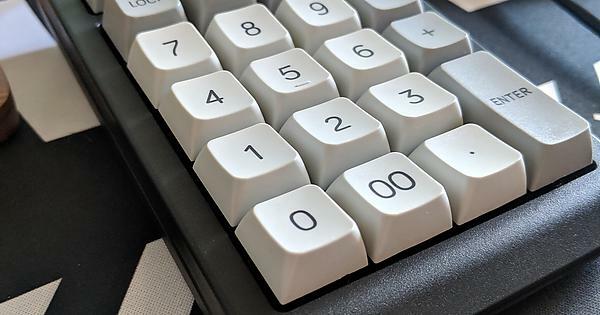 How do these compare to the KBDfans sliders? smoother, just as crooked in stock topre housings. How did you fit the housings? In one of your earlier posts you said that they are slightly smaller than stock topre. The housings clip in, but slide from side to side if you put some force on them; the concern is if there is some lateral movement, what will that do to dome alignment, or if all of the screws in the PCB will be enough to keep things mostly in place.